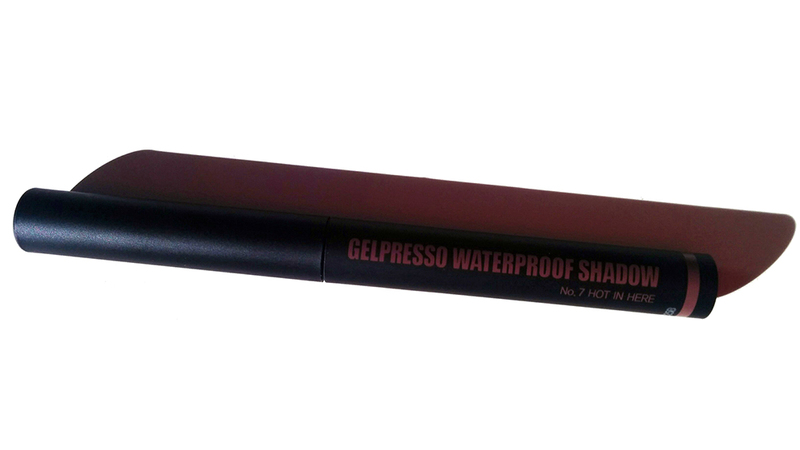 While I was in Club Clio, I also picked up a Gelpresso Eyeshadow Stick in addition to the Kill Black liquid eyeliner (full review here). I tested out the colors on my hand, and decided to go with No. 7 Too Hot in Here, a metallic brown with warm copper red undertones. Most of my cream eyeshadows are in pot form, and I had tried chubby pencil eyeshadow sticks before, so the eyeshadow stick was the last form of eyeshadow to try. Plus, "gel" shadow sticks are definitely the trend right now in eyeshadows! I could not find an ingredient list on Club Clio's official ecommerce site or elsewhere. The printing on the box is also mostly in Korean. 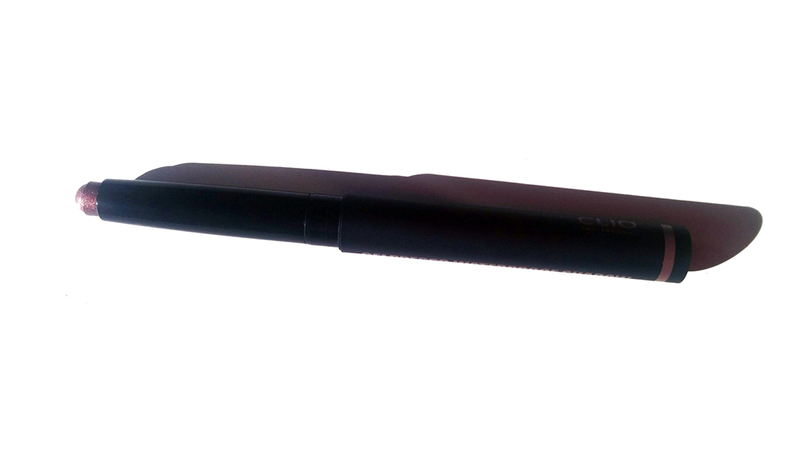 The eyeshadow stick is housed in a matte black twist up container, and the packaging feels substantial and nice in your hand. The texture is creamy and the color payoff is great. 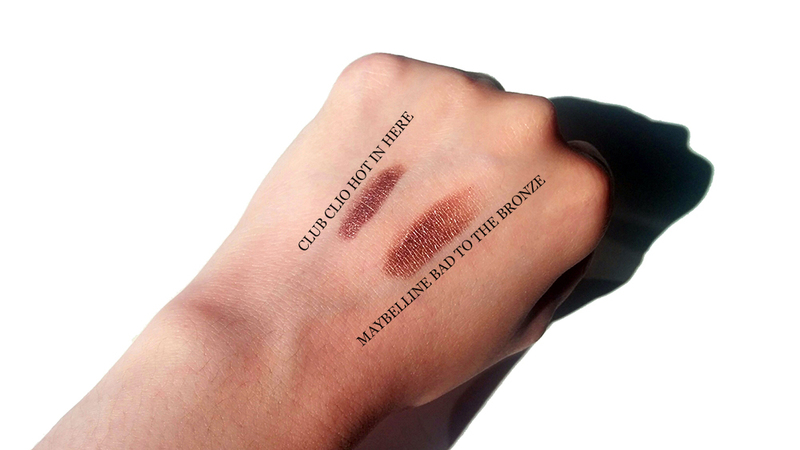 Compared with my beloved Maybelline Bad to the Bronze, Hot In Here has more of a red copper undertone while Bad to the Bronze is more of a cool brown. 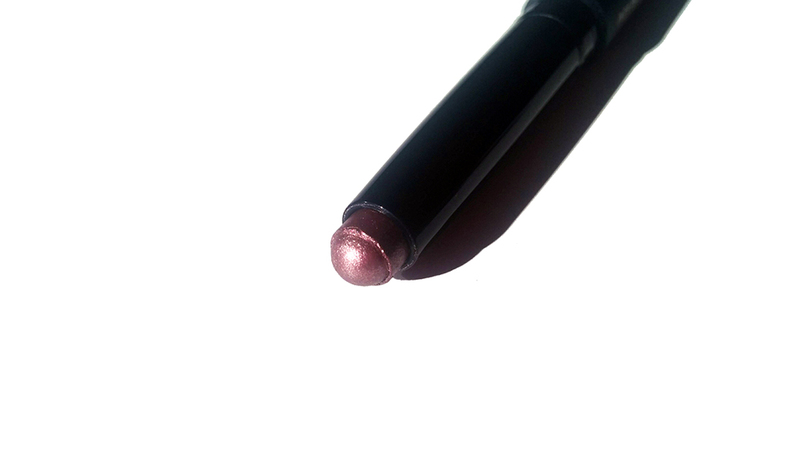 In terms of formula, Club Clio's eyeshadow stick is definitely creamier than Maybelline's color tattoos. The wear time is generous, but I can't vouch for it lasting 24 hours since the longest I've worn the eyeshadow is 12 hours. The eyeshadow did last through those 12 hours, but I did see that the "metallic" sheen in the shadow did fade substantially. However, I could definitely tell the eyeshadow was still there, and the creasing was minimal. In conclusion, it's a great eyeshadow stick that I think is giving more expensive brands (such as Bobbi Brown and Marc Jacobs) a run for their money in terms of quality gel eyeshadow sticks but for a more affordable price point. 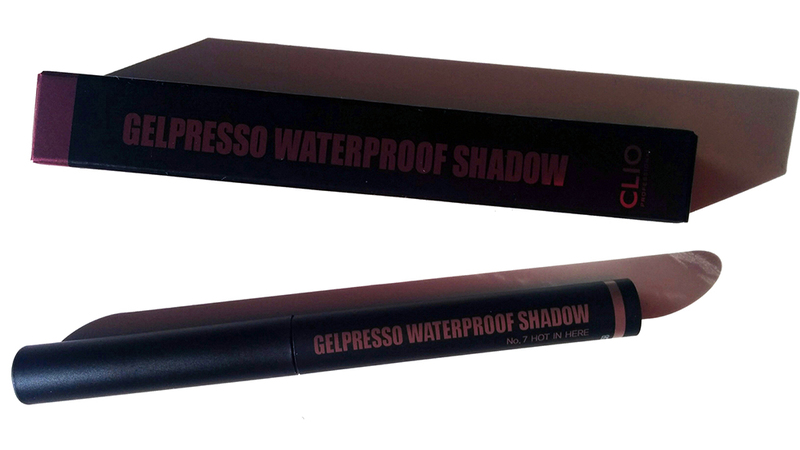 Club Clio's Gelpresso eyeshadow sticks are available on Club Clio's official ecommerce site and Amazon. For some reason, Hot in Here is not listed on either Club Clio's official site nor Amazon, but it was clearly one of the shades offered in their brick and mortar store. I'm not sure if Hot In Here is one of their newer shades, but Bottom's Up is the most similar shade on offer which is another dark metallic brown.